Build your shelter explosion proof. 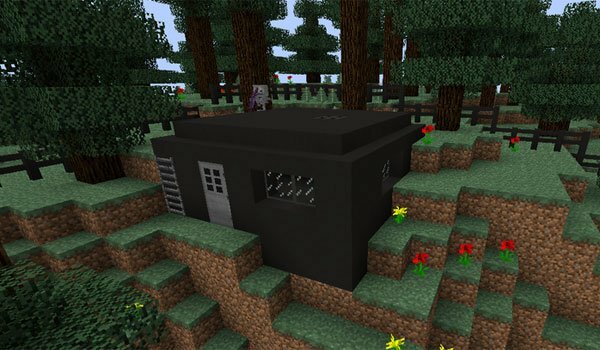 Bunker Mod 1.7.10 and 1.7.2 is a mod that adds different elements to the game, including a new explosion proof material, so if you do not like the design of the houses using obsidian, you can always use this new material. Besides this, the mod adds various elements used in the construction which will resist explosion effects as well. Some of them are stairs, doors and windows. Furthermore, the mod adds hidden doors that will open when receiving redstone signals, some of them have the shape of a wood or stone bookshelf. We may also use hidden buttons which need redstone signal to make them work properly, like the doors. How to install Bunker Mod for Minecraft 1.7.10 and 1.7.2? Now you can build your own bunker!